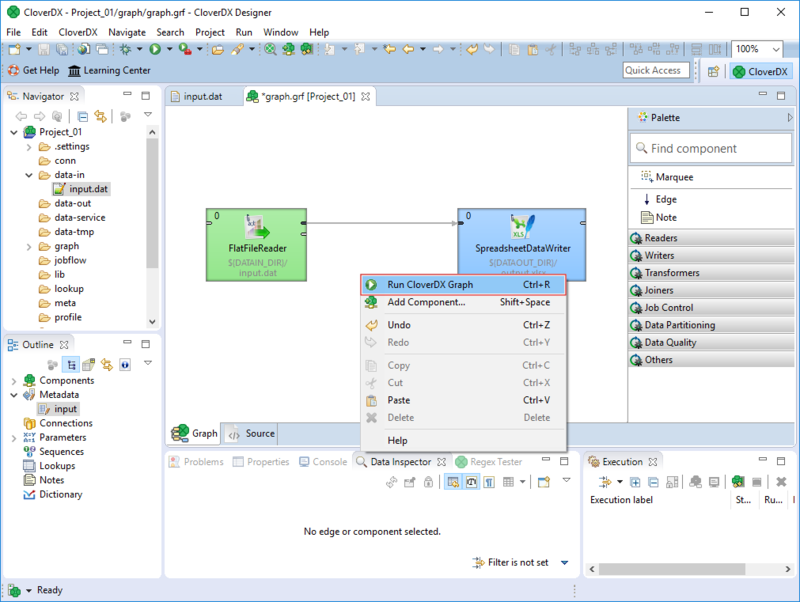 To run the graph, right-click anywhere inside the Graph Editor pane and select Run CloverDX Graph from the context menu. The graph will run. 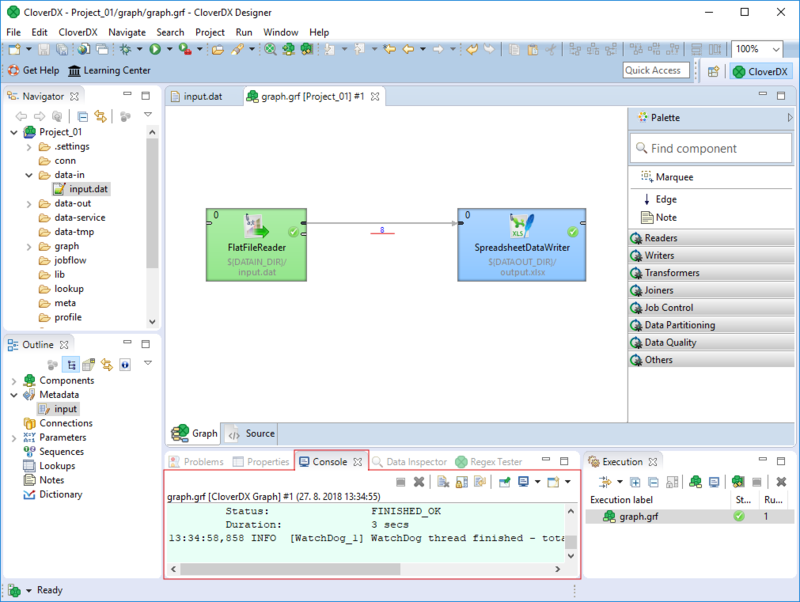 In the Console tab below the Graph Editor pane, you can see the graph run report. If everything is OK, the graph execution will be successful. If you would like to see more detailed information about graph run, double-click the Console tab. The tab will cover the whole window. You can restore the original size of this tab when you double-click it again.